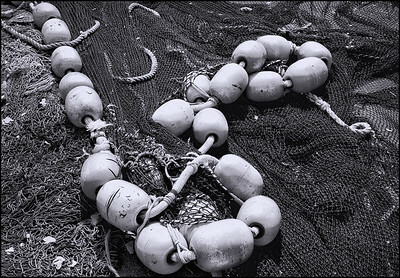 In these images I try to show the details of objects, both normal and abstract, in a way that one might not normaly see or visualize them. 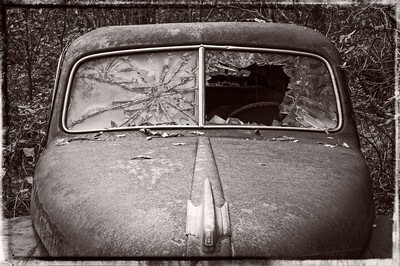 An eight cylinder Ford passenger car discarded in the woods. 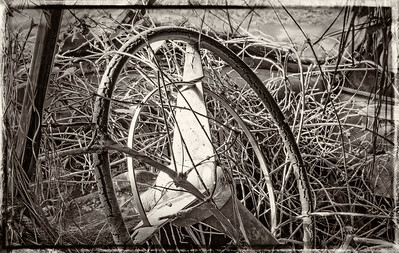 A retired car in Old Car Ciy in White, Georgia. 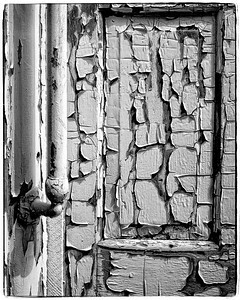 "Trolley Door and Hand Rail"
Peeling paint on an old trolley door and hand rail. "Abandoned in Holly Springs #1"
Door and window detail of abandoned building in Holly Springs, Georgia. 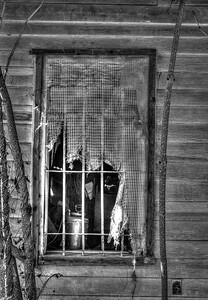 Window detail of abandoned Stancil's Store in Cherokee County, Georgia. 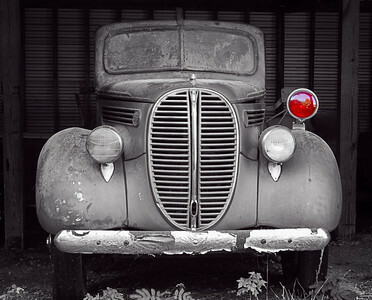 A derelict 1938 Ford V8 fire truck, long ago discard. 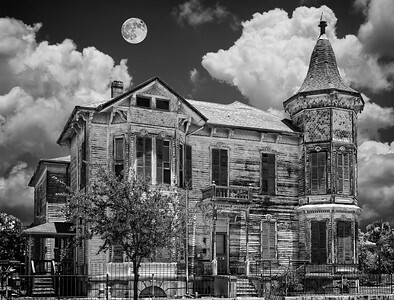 This dilapidated, still occupied, Victorian mansion on Galveston Island, Texas, has seen its better days. 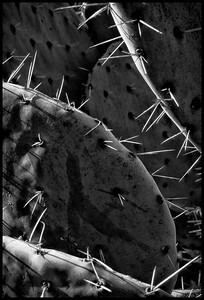 But if walls could talk, imagine what tales they could tell. 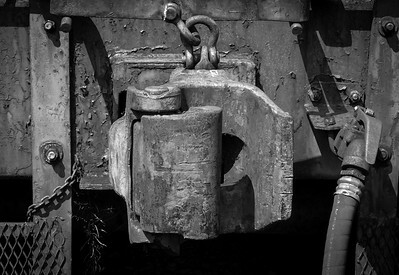 Detail of the "Janney Coupler" on an abandoned train car. 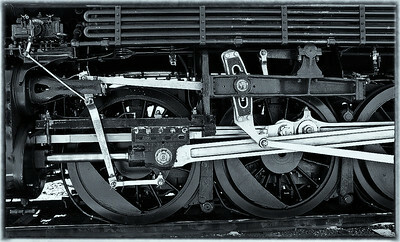 The automatic "Janney Coupler" was adopted as the U.S. standard coupler in 1893. 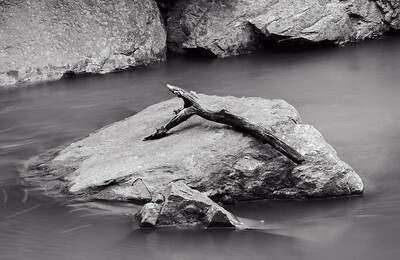 A fallen branch and leaves are stranded by rushing and then quickly receding creek waters. 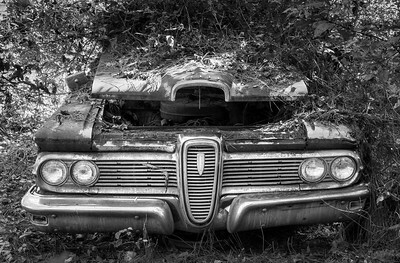 Long abandoned and overgrown, this Edsel is a reminder of a bygone era. 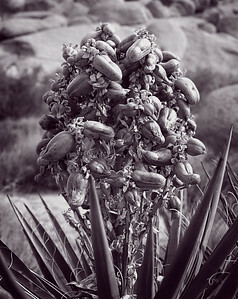 Mojave Yucca (Yucca Schidigera) also known as "Spanish Dagger" blooms in Joshua Tree National Park, California.